Katrina Hunter Mintz has joined Samford University's McWhorter School of Pharmacy administration as the new associate dean of assessment. 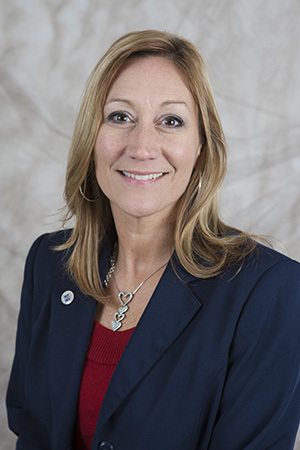 In her new role, Mintz will provide leadership for development, maintenance and evaluation of the assessment and accreditation process within the school. "With a strong background in the philosophy of education, assessment and online learning, Dr. Mintz will prove to be a great help to MSOP. I look forward with great anticipation to having her with us," Pharmacy Dean Charlie Sands said. Mintz comes from Walden University in Minneapolis, Minn. where she served as the director of assessment for the master's and bachelor's programs. She earned her doctor of education and master of arts degrees from the University of Alabama and a master of business administration degree from Walden University. Sarah Waller is journalism and mass communication major and a news and feature writer in the Office of Marketing and Communication.